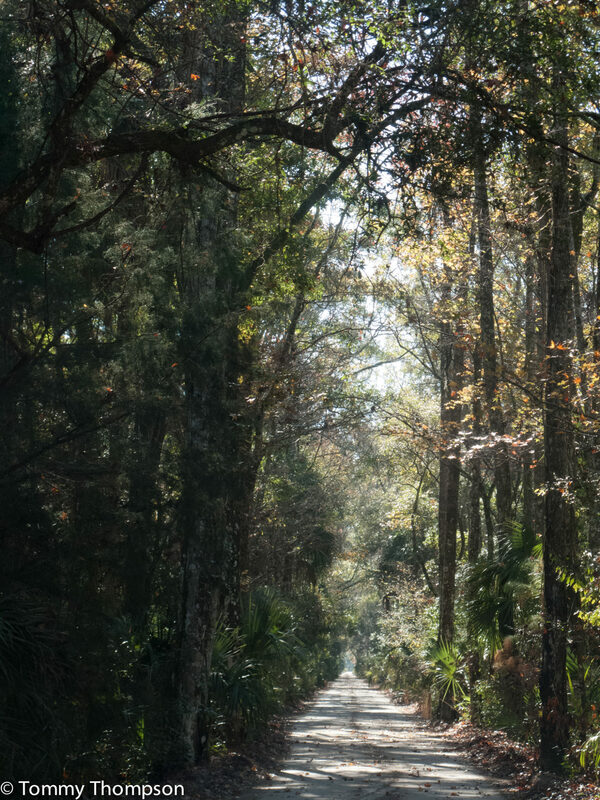 Originally cleared years ago as logging roads in rural Dixie County, the Dixie Mainline and the Bowlegs Mainline are still a functional, albeit sometimes rough, set of roads. Now they shortcut the long travel between Steinhatchee and Horseshoe Beach and Horseshoe Beach and Suwannee. And they cross some beautiful backwaters and forests. 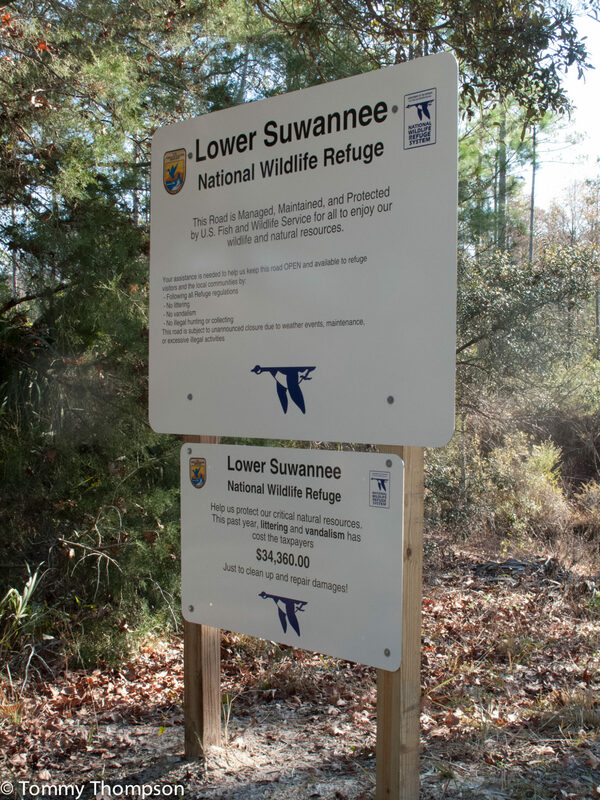 For many years, these roads, a part of the Lower Suwannee National Wildlife Refuge, went relatively unknown to outsiders, and were not very well maintained. The Dixie Mainline bridges over the creek headwaters burned in the 1980s and were replaced years later by the present concrete structures. And now, both mainlines are graded regularly, but in periods of heavy rain may only be of use to off-road bicycles and 4-wheel drive vehicles. While the Dixie Mainline isn’t a direct connection between Suwannee and Horseshoe Beach, it eliminates a 20-mile stretch of Hwy 349 between Suwannee and Old Town, as well as about 40 miles to Cross City and Horseshoe Beach. Actually, it leaves Suwannee just outside town and exits the “woods” on Hwy 357 near Shired Island. From that junction, it’s about 15 miles to Horseshoe Beach via Hwy 357 and Hwy 351. Not bad for a 15-mile jaunt through some beautiful backwaters. The Dixie Mainline mostly crosses through forests and swamps, and the small bridges take you over the headwaters of Shired and Johnson Creeks. 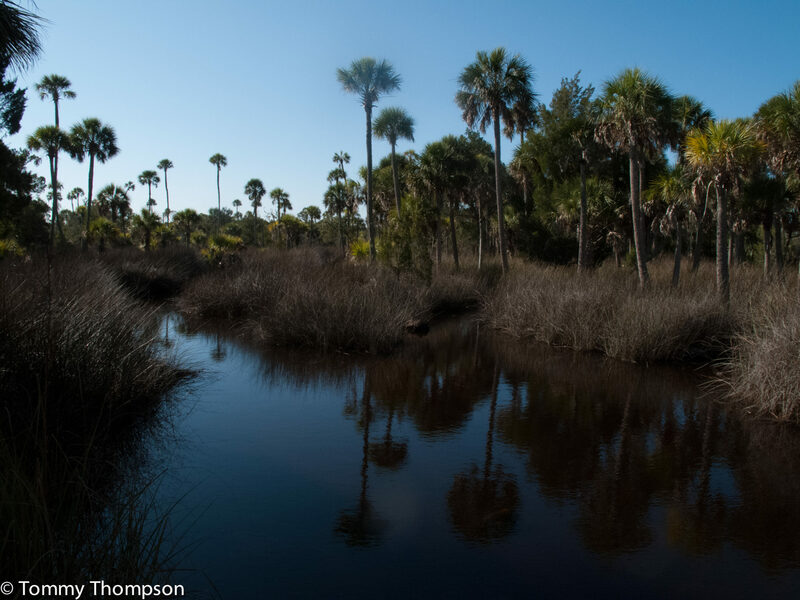 Both creeks are tidal, and if you time your trip and set up a shuttle system with a paddling buddy’s car, they make good starting spots for a nice paddle to the Gulf of Mexico. The Bowlegs Mainline road isn’t as scenic as the Dixie Mainline, but it certainly makes travel from Steinhatchee to Horseshoe easier and quicker. It eliminates about 18 miles of travel from Steinhatchee to Cross City and 20 miles from Cross City to it’s terminus near Lily Creek Store, on Hwy 351, 6 miles from Horseshoe Beach. The Bowlegs Mainline exits Hwy 361 in Jena, near Rocky Creek, about 6 miles south of Steinhatchee. Both Mainlines are comprised of graded limestone roadbed and are routinely maintained. Both entry and exit points on the highways are marked. Depending on rain, the roadbeds can be soggy, making travel by some vehicles impractical. If it’s rainy, and you don’t have 4-wheel drive, consider taking the “long way around”.